Fancy being part of the Cabo Stradbrook team on Friday nights? 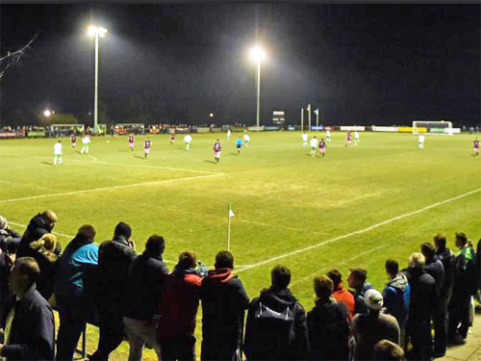 We’ll play fourteen home games (excluding possible cup games) in the First Division of the SSE Airtricity League of Ireland in Stradbrook this season, starting with the East Coast derby versus Bray Wanderers FC on February 22, with a 7.45pm kick-off. You too could be part of the large Cabo support team that makes it all happen off the field on match nights in Stradbrook! All you have to do is to get in touch with club General Manager Pat Costello by by email or on 087 638 9985 as soon as you can. Don’t delay – call Pat today! A great way to have some Friday evening fun! Select the button below to book your Easter camp place. New to the club? Please contact the appropriate Age Group Co-ordinator for details before registering. Our hosts come back to win! TEK now playing for Andy too! Enter your email address below to have the latest fixtures, results, match reports and news sent directly to you.